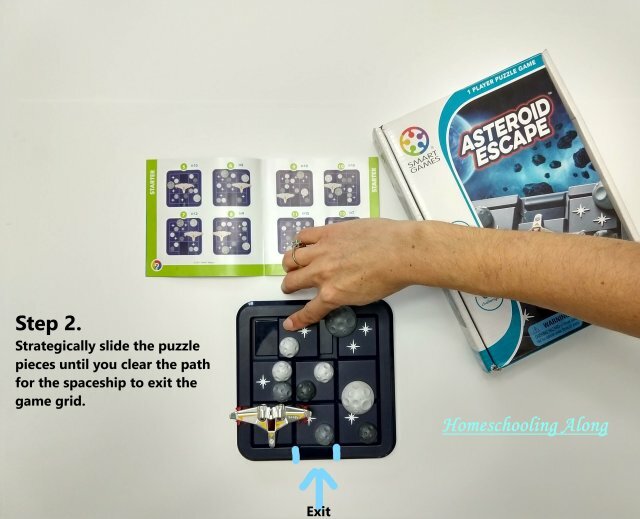 ⇒Disclaimer: I purchased Asteroid Escape at a discounted price from the Timberdoodle Company in exchange for my honest review of this product. 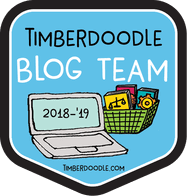 With that said, I was not required to write a positive review by Timberdoodle, and this review is an honest reflection of our family’s experience playing with Asteroid Escape. 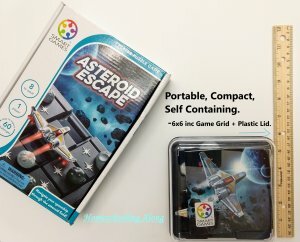 Asteroid Escape is a single player game for 8 yrs and up, where the player needs to slide each puzzle piece out of the way so the spaceship can take off on its space flying mission! Visual Perception, Spatial Insight, Logical Thinking, Problem Solving Skills. 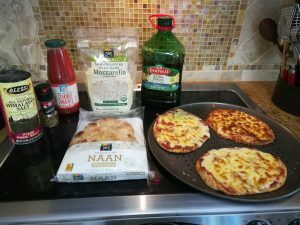 Looks easy enough right? Sure it is, but not before using a good dose of problem-solving skills moving around all those asteroid game pieces while resorting on your spatial insight and visual perception thinking skills. Yes, it really requires lots of logical thinking to help the spaceship puzzle piece escape the game board without its wings hitting any of the many space rocks around it. 1 self-containing Game Board with Lid. 8 sliding game pieces (1 Spaceship, 7 Asteroid pieces). 1 mini booklet (containing 60-beginner to expert challenges and solutions). Simplicity. From the very first moments of playing, Asteroid Escape is almost self-explanatory right out of the box. In all, the only rule kids need to remember is how the wings of the spaceship can’t overlap an asteroid puzzle piece. With that said, this puzzle/game is in no way either too simple or too boring, at the contrary, it keeps children (and me😁) engaged for a great length of time. 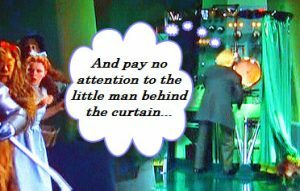 Step 1 – 2 – 3 ! 1 – 2 – 3) After selecting a puzzle from the 60 challenges available in the booklet, the player needs to place each puzzle piece just as it’s indicated in the picture. The player is now ready to slide around each puzzle piece to clear the way for the spaceship to slide off the game grid from the only exit spot available. Some puzzles will be easier and faster than others to solve, however, don’t discount the Beginner level because my 8, 6-year-old sons and I, all were stuck on Challenge #8 for a few days.🤷‍♂️ As I was trying to figure out how to solve this challenge, I couldn’t believe how many moves were even possible on such a small gameboard! Portability. Asteroid Escape‘s portability is what sets it apart from all other puzzle/games of its kind. Before buying this game, our kids had been playing with “Rush Hour” which is a very similar style game with one of the major differences being its portability. Asteroid Escape‘s size and lid make this game very compact and self-containing. 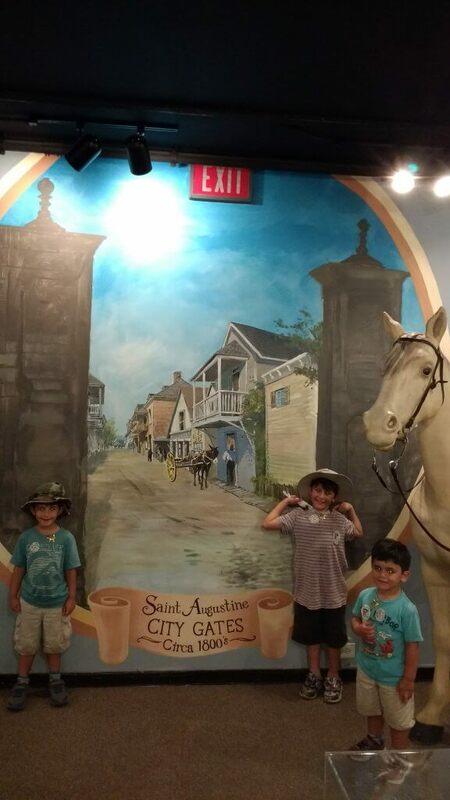 Kids need to use their Problem-Solving skills in order to solve each puzzle and while doing so they’ll be also exercising their Spatial and Visual perception. What I’ve also noticed while trying a few puzzles myself, is how a little planning beforehand goes a long way. 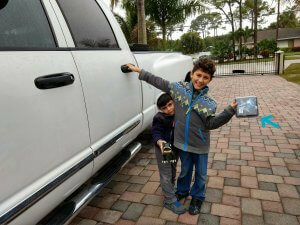 As I mentioned before, my kids were stumped when trying to solve puzzle #8. After many failed tries on my end as well, I realized we were not stopping to plan ahead our moves. 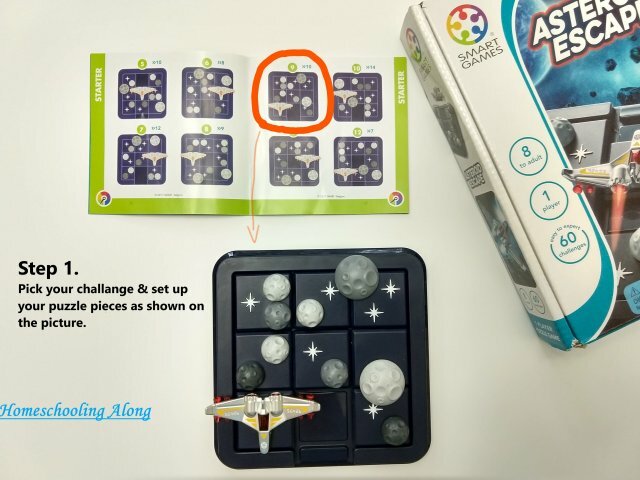 Because of the simplicity of Asteroid Escape‘s look, kids might be tempted to dive right in and start sliding around puzzle pieces to then quickly realize those space rocks really do an awful good job blocking their every move. I found teaching children to stop and think about the cause and effect of their moves, helps them not only from getting stumped but also by putting their Planning skills to work (developing Strategies🤩). 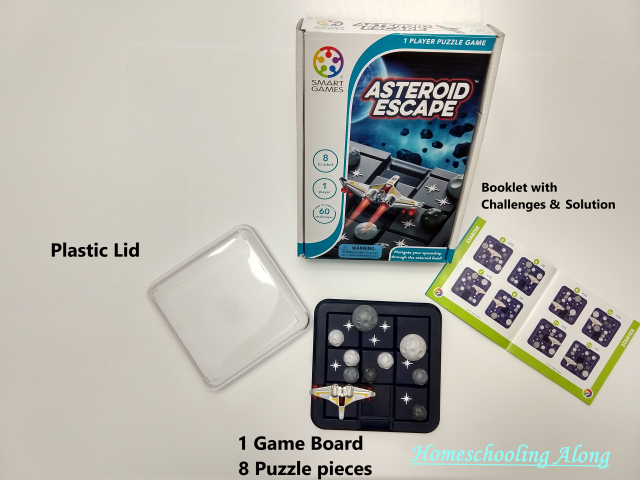 Timberdoodle includes Asteroid Escape in their 8th-grade curriculum kit, but I’m happy to say kids of younger age can already begin enjoying all the fun and benefits this game has to offer. I bought this game for my 8-year-old 3rd-grader and he has been completely drawn into the midst of solving each puzzle. My son has even gone as far as bringing this game in bed because he just couldn’t get himself to stop in the middle of a challenge. Once he starts a puzzle he becomes fully immersed in the game and I couldn’t be happier! 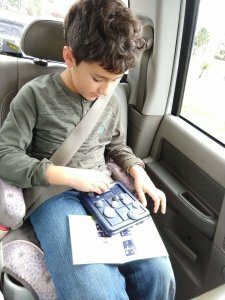 While playing, my son is also practicing and developing many Critical Thinking skills that will serve him well in the future. 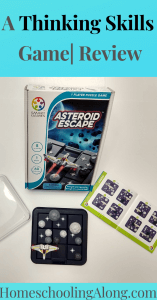 “In summary, I’ve found Asteroid Escape allows kids to practice many different Critical Thinking skills while playing a fun and immersive puzzle-solving game kids highly enjoy”. 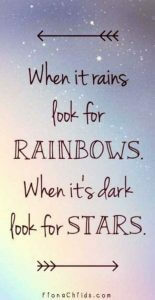 Do not withhold good from those to whom it is due when it is in your power to do it. I just love these kinds of games and own several types of them. They really make you think! They sure do Annette, and this one, in particular, is so practical too! Thanks for reading and sharing your input, I love hearing from you.